You have a wonderful way with your students, giving them clear instructions while making them feel relaxed and at ease. Your thoughtful consideration of the dogs was evident throughout your teaching; you broke every behavior down into easy-to-understand steps and your work with the demo dogs was gentle and effective. Leea Foran, CDBC, CPDT-KA established Foranimals, LLC in 1996 in response to the growing needs of dog and cat owners for quality, dependable training and personalized support for problem behavior. Leea is a long-standing member of the premier training organizations-the Association of Professional Dog Trainers and the International Association of Animal Behavior Consultants and has earned the titles of Certified Professional Dog Trainer in 2001 (CPDT-KA) and Certified Dog Behavior Consultant in 2008 (CDBC). She has also been a Certified Tellington TTouch Practitioner, Level II since 1996. Leea is the only trainer in Western Mass. to have completed the Instructor Training Course and the Advanced Instructor Training Course. Both are intensive trainings, highly respected in the professional dog training world. Leea is a mentor for new trainers through the Animal Behavior College, Inc.; a Canine Good Citizen and Community Canine Evaluator with the American Kennel Club; and an American Red Cross Pet First Aid Instructor. She has years of experience as a veterinary technician and holds a degree in Animal Behavior from Ohio State University. She has studied with many of the leading professionals in the field, such as Karen Pryor, Kathy Sdao, Ken Ramirez and Linda Tellington-Jones and is committed to ongoing education and training to enhance her knowledge and skills. 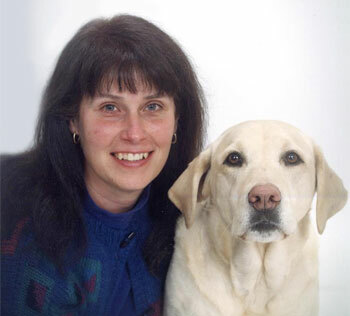 Because training dogs is also about training their humans and supporting stronger relationships, Leea brings to her group classes, workshops and private training 25 years of experience as a personal growth educator and counselor at the Kripalu Center for Yoga and Health. Her compassion for dogs and cats leads her to volunteer her time as a consultant to local rescue groups and shelters helping nervous and fearful animals find forever homes. Leea's guiding principle for Foranimals is to deepen the understanding and bond between people and animals through positive, respectful treatment and training. Leea shares her home life with her husband, three Labrador Retrievers, and two parakeets. Leea and all assistants working with her are insured.